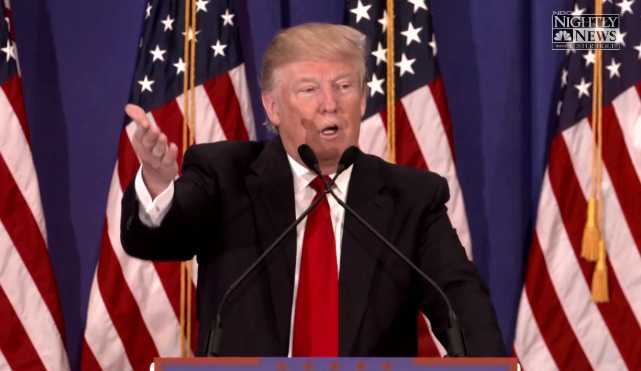 JUPITER, Fla. — During a press conference on Tuesday, Republican presidential candidate Donald Trump belittled a reporter who expressed concern about his use of profanity on the campaign trail, especially around children. NBC’s Peter Alexander asked Trump about a new television advertisement by the American Future Fund Political Action Committee that highlights the candidate’s repeated use of expletives. “Is that presidential? Are you embarrassed by that?” Alexander asked. “A lot of parents are trying to figure out how to explain some of the language they’re hearing on the campaign trail,” Alexander stated, expressing concern. “What would you say to parents?” Alexander pressed. “Aren’t you just a perfect young man,” Trump continued. “I’m hardly perfect,” Alexander replied, telling Trump that he simply would like an answer to his question. Reports noted last month while Trump campaigned in New Hampshire that his use of expletives had seemed to increase. In Portsmouth, while speaking of companies that relocate overseas in order to receive tax breaks, Trump declared, “And you can tell them to go [expletive] themselves!” He later claimed that stopped short of saying the full word. Trump has also stated on several occasions that if he were president, he would “bomb the [expletive]” out of ISIS.